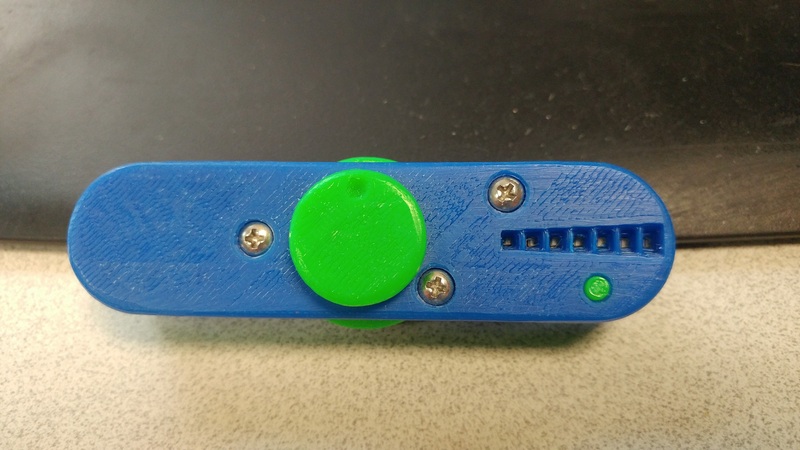 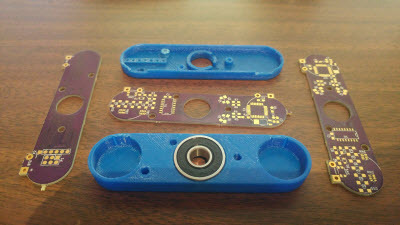 When fidget spinners were popular in the spring of 2017 (at least that is when I saw them everywhere) I thought it would be fun to make one that used persistance of vision (POV) to display the RPM and other things. 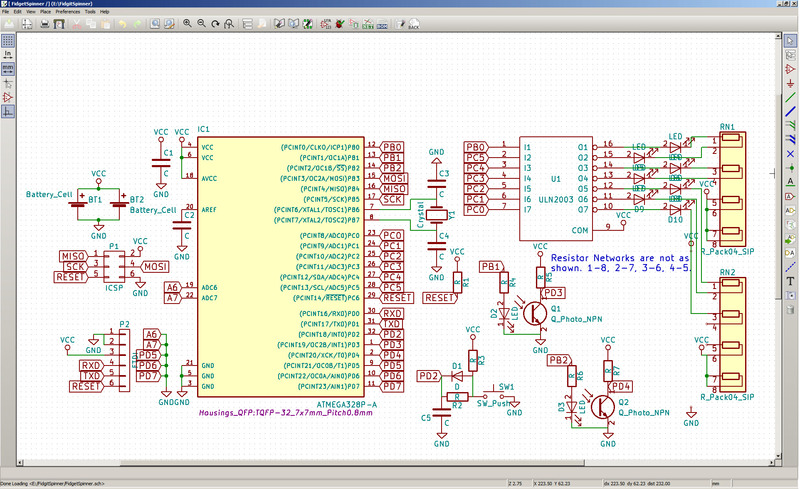 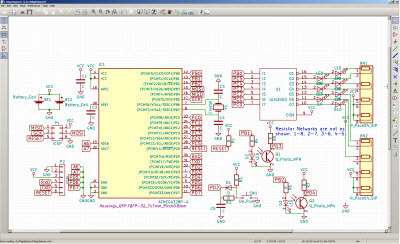 I started to do the programming in Arduino but found that the power consumption was more then it should be. 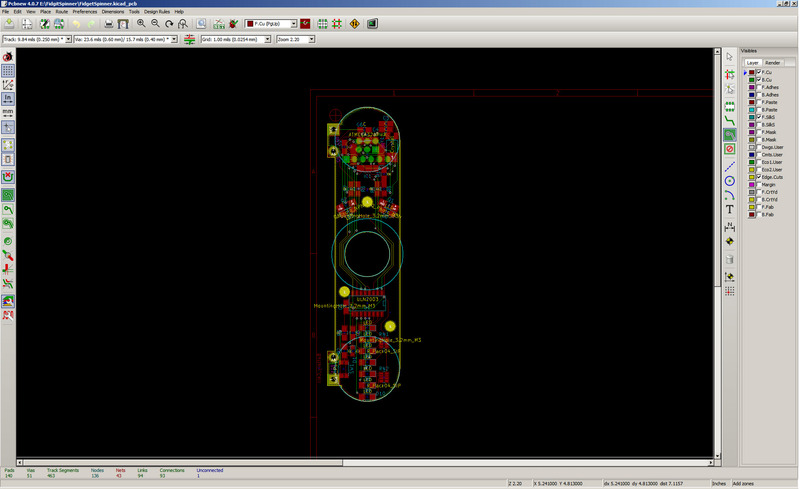 I ended up writing the code in c using Netbeans IDE. 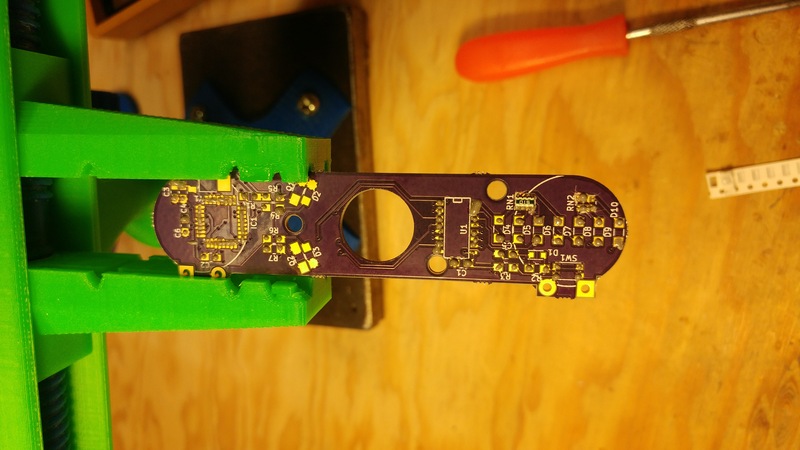 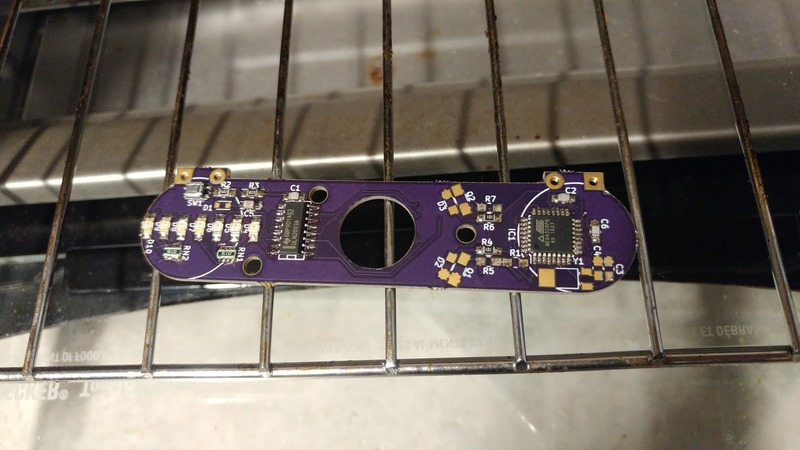 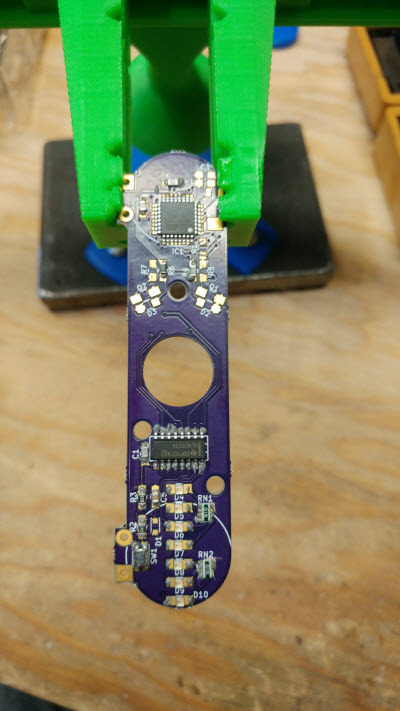 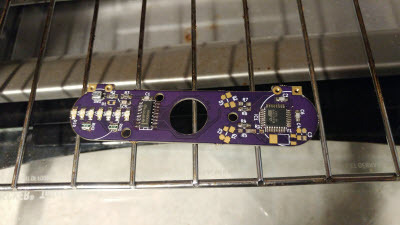 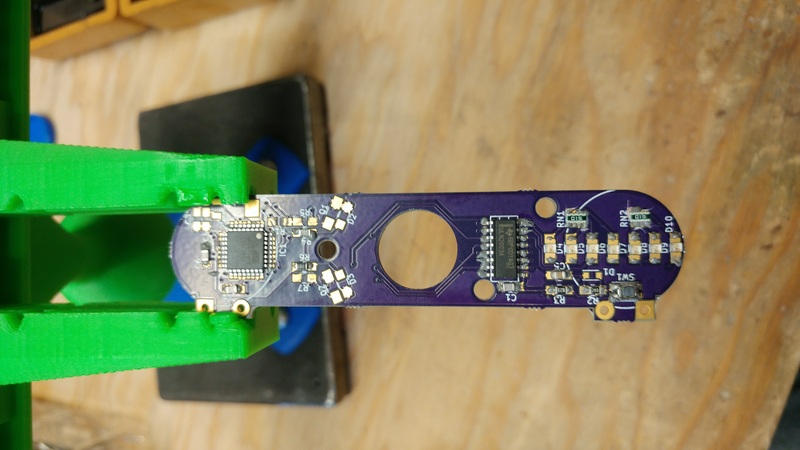 I deisgned a circuit and got some PCBs manufactured from OSHPark. 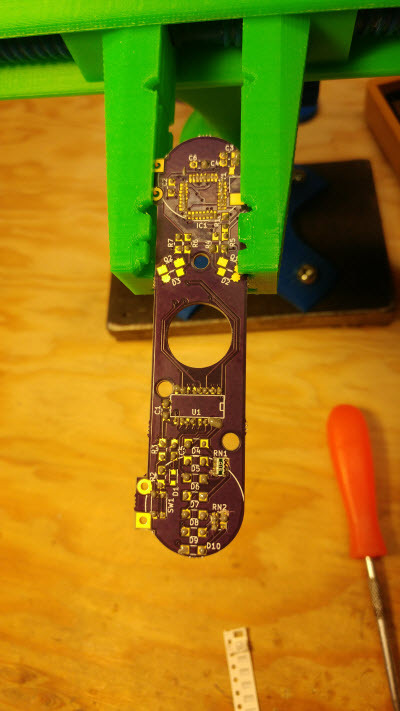 Once my boards and parts were in, I laid down some solder paste and set the parts in place. 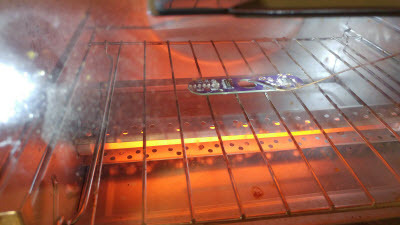 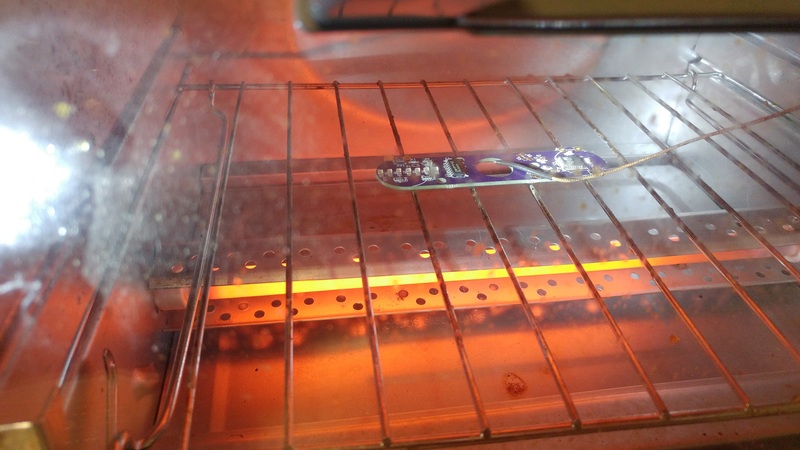 I little time in the toaster oven and everything was soldered.